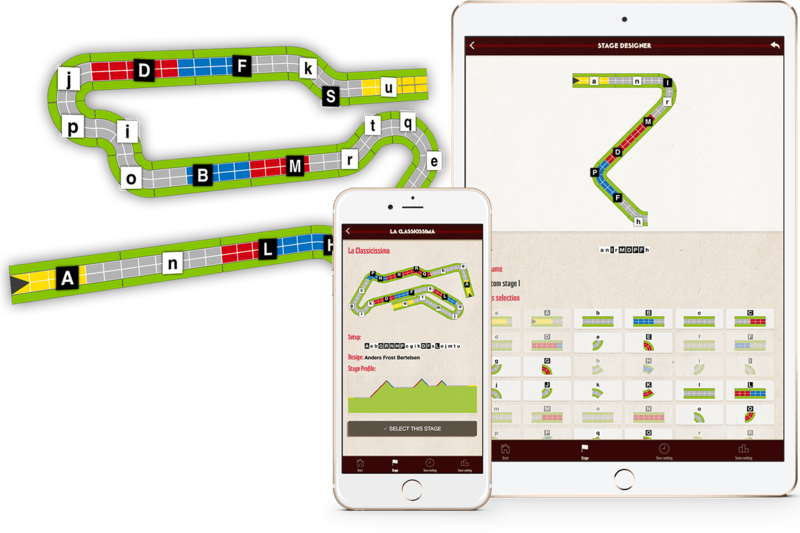 Flamme Rouge Companion is a companion app for the famous board game created by Asger Harding Granerud. 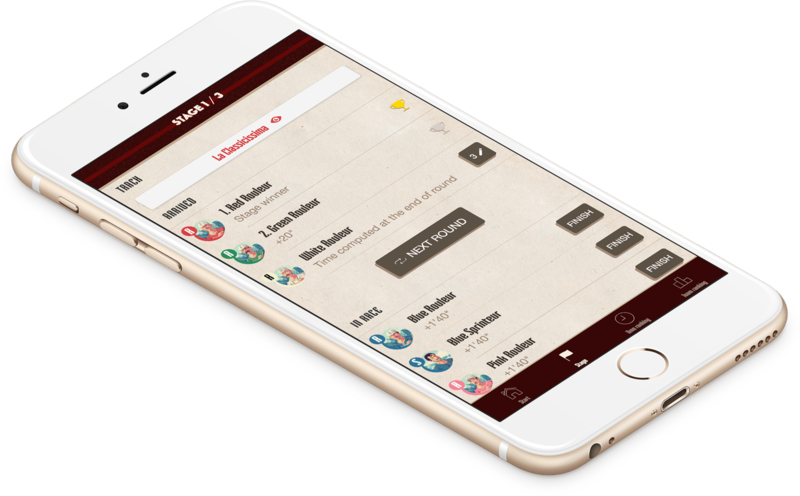 Made to let you enjoy playing several stages in a row (a "Grand Tour"), by tracking times and points for your teams & riders. Following the Grand Tour rules approved by the game author (see PDF EN | FR), the app makes time computation and points calculation a piece of cake. The app also features a stage editor so you can design and save your own tracks! 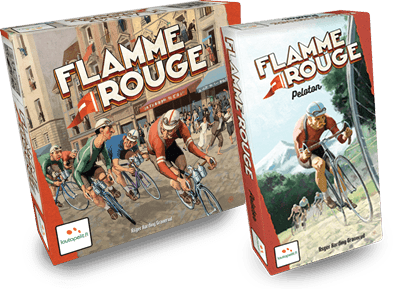 Flamme Rouge and its expansion Peloton are published by Lautapelit and Gigamic. For any feedback or suggestion, please join this thread at BGG. For any bug report, please email me with details (steps to reproduce, app version, device and OS). Let's talk about the game / app on Twitter! Copyright 2017 © Benoît Gourdin - Flamme Rouge artworks used under permission.